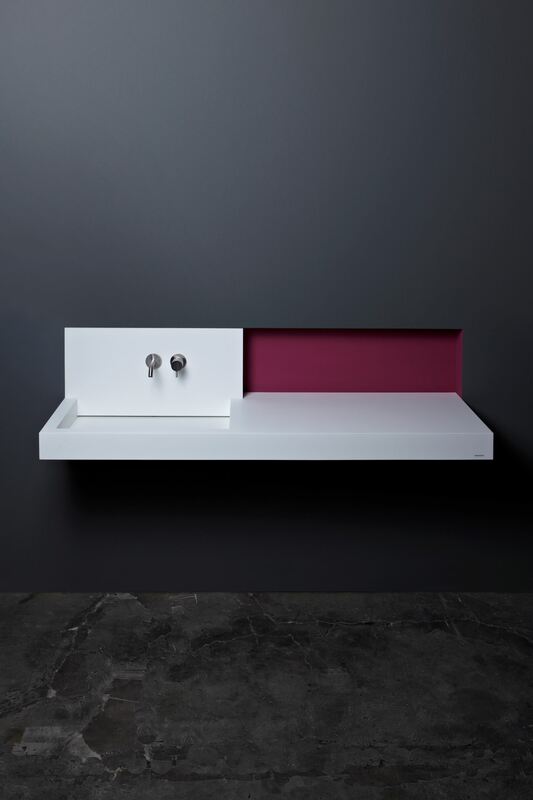 Slot is a sink made of Corian presented in 2002. It redefinied the archetype of its purely functional component of the project, transforming it into a compositional tool, marks the beginning of a new path, that of absolute minimalism. 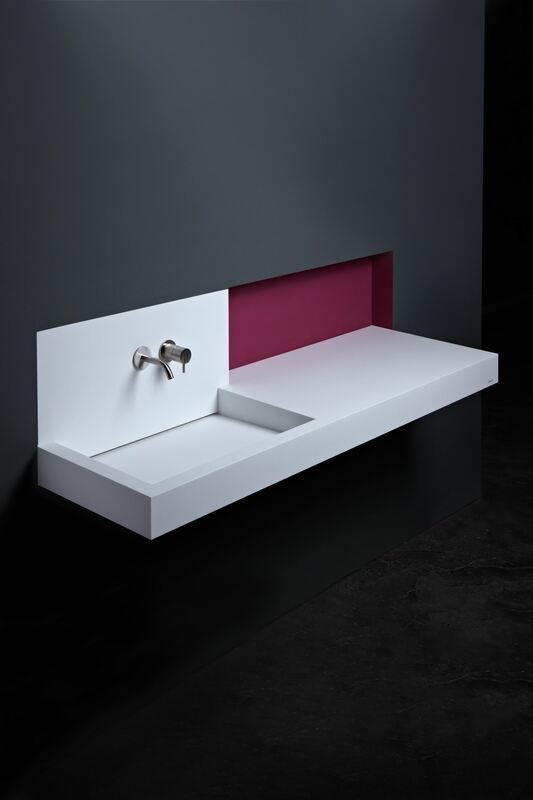 Slot, icon of minimalism in bathroom furnishing, becomes a small architecture with W_SLOT. The plasticity of solids and voids matches the rationality and the essential sign of the drawing perfectly distinguishable in Slot sink. Clean, essential, rigorous, modern. In one word Slot. 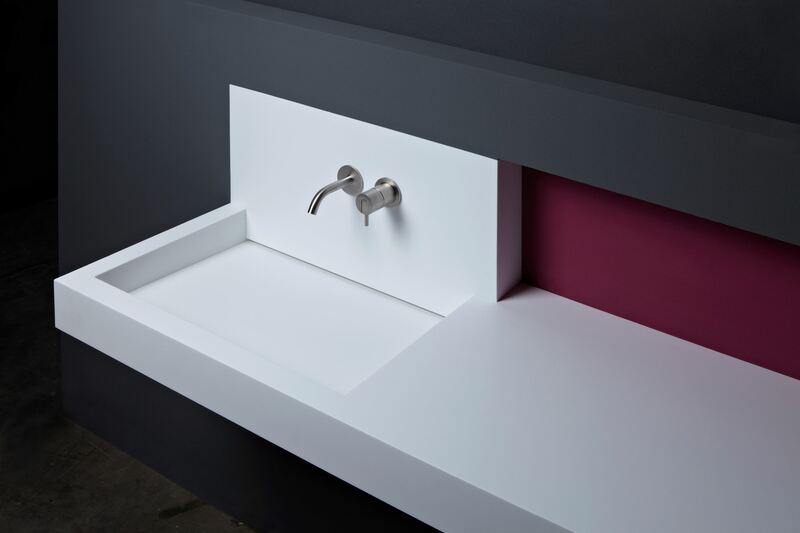 Corian as a material of choice with its uniform whiteness and silky surface to touch, such as the design rule to follow. Net shapes, square lines, sharp edges and width of the borders but total absence of drain, overflow, of all that can somehow confuse the perfect aesthetics of the object. It remains a slit, a cut in the rear part of the basin, a thin opening that runs along the whole development of the basin and accommodates the water through the imperceptible inclination of the bottom, hiding the integrated siphon. 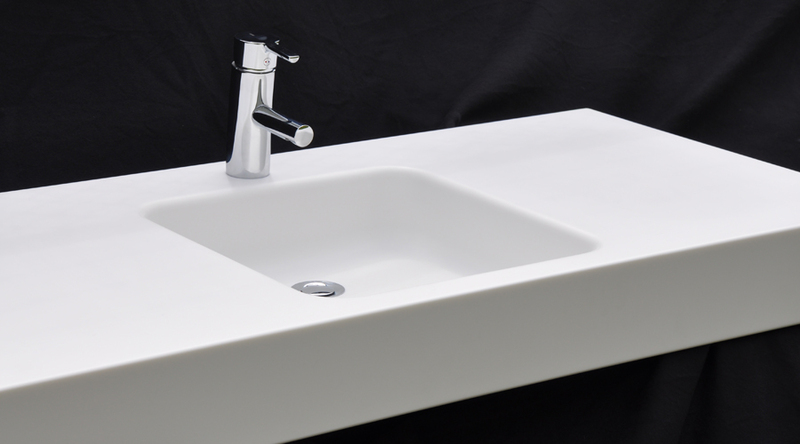 The technical parts are invisible, water flows along a linear slot, the sink image remains clean, absolute, essential. 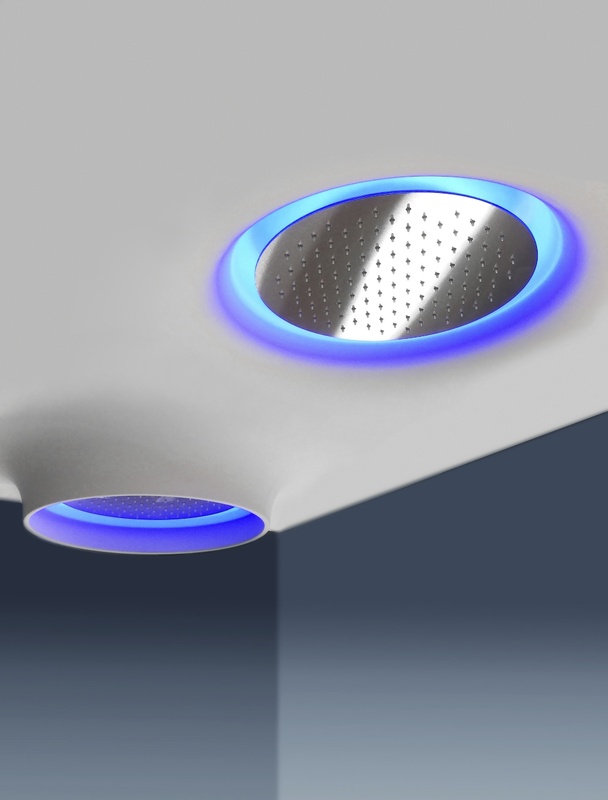 More products by Antonio Lupi Design S.p.A.